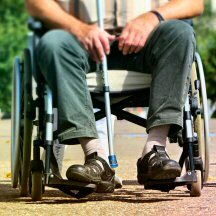 Pennsylvania ranked among the top 10 states in the nation during 2016 as a location for plaintiffs to file lawsuits alleging Title III violations – those dealing with a perceived lack of access to public accommodations and commercial facilities – of the Americans With Disabilities Act, attorneys and a librarian at the legal firm Seyfarth Shaw LLP wrote Monday (Jan. 23, 2017). “A recent proliferation of plaintiffs and attorneys filing website accessibility lawsuits.” Generally, they claim websites and/or mobile apps are inaccessible to those with certain disabilities. Read the piece by Vu, Launey, and Ryan, titled “ADA Title III Lawsuits Increase by 37 Percent in 2016,” and published Jan. 26 on Lexology, here.